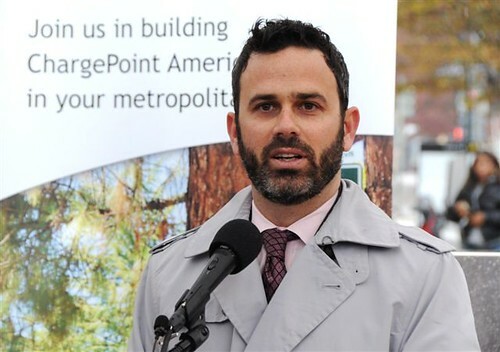 Several city officials have already announced they are leaving the Fenty administration, including transportation chief Gabe Klein, who on Wednesday became the first Cabinet official to publicly say he is not being kept in his post by Gray. With his advocacy of bicycle and pedestrian amenities, promotion for public transit, and unorthodox approach to traffic and parking, Klein developed a devoted following among advocates of “smart growth,” who have emerged as a potent political force. But he was also at the center of a significant political headache for Gray during his campaign: the city’s streetcar program, which was canceled then restored under pressure during council budget negotiations. Klein, along with several other agency heads, was delivered a termination letter Tuesday. Retaining Klein, along with planning director Harriet Tregoning, had been the goal of broad campaigning among some planning and neighborhood advocates. But other groups called for Klein’s ouster, criticizing him and his department for inadequate planning and community outreach. 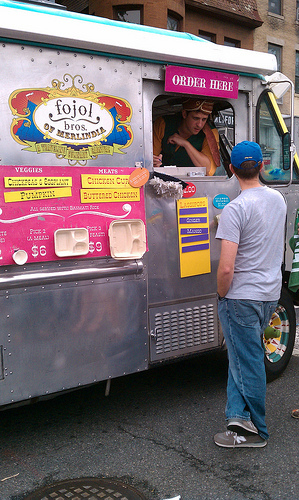 Fojol Bros, a popular D.C. Food Truck. This is disappointing, short-sighted and a few other words I’m not allowed to type; Councilmember Muriel Bowser (Ward 4) is thinking about emergency legislation to prohibit new food trucks while taxing the existing mobile nom-purveyors who got in while the getting was good. But, wait! There’s more (via WCP)! 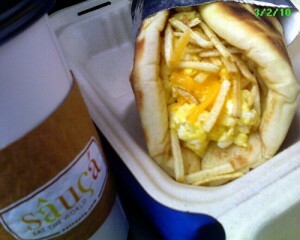 Indeed, D.C. Chamber of Commerce spokeswoman Janene Jackson confirms that she’s teamed up with the Restaurant Association of Metropolitan Washington and the Apartment and Office Building Association to ask for the cap, as well as a 10 percent sales tax, since proposed regulations that would govern food trucks are unsatisfactory. My colleague Alan Suderman is also hearing that the issue could come up as soon as tomorrow’s Council legislative meeting, where members will be voting on a plan to close the budget shortfall. I’m reminded of Love Bites, the truck I profiled here which is run by a local, African-American, mother-daughter team, who are using family recipes to create something delightful. It’s unfortunate that the City Council would bow to pressure from the Chamber of Commerce and the Restaurant Association to bully entrepreneurs. Yes, we need to address the budget– but if that’s all this were about, then they’d be talking about just taxes (which is understandable), not taxes AND a moratorium (which is not). 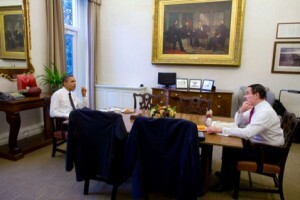 Long tables are more Presidential! Gray said that the president and he spoke about improving public education and early childhood instruction in Washington, as well as funding for infrastructure around the proposed new Department of Homeland Security headquarters in impoverished Southeast Washington. They also discussed solutions to the city’s high unemployment rate. It’s going to be a long day for Vince Gray, Mayor-Elect of the District of Columbia. Instead of attending the funeral of Officer Paul Dittamo, who died last week in the line of duty, Gray was in the dining room at the 4th Estate, the restaurant in the National Press Club, according to the restaurant’s Twitter account. We called The Fourth Estate, and he arrived at 1pm for a lunch with Council Chair-Elect Kwame Brown, where he still sits at press time. According to the Post’s Mike Debonis, Fraternal Order of Police chief Kris Baumann was “apoplectic” at the no-show. You can understand his frustration and anger, given that Baumann and the Police union were leading supporters for Gray on his campaign. 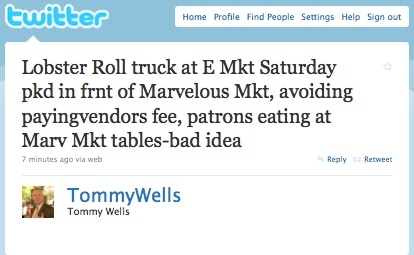 Local blog We Love DC deserves credit for spotting the restaurant’s tweet and figuring out where the Mayor-Elect was. Even outgoing Mayor Adrian Fenty, who was criticized in the past for being a no-show at high-profile funerals, managed to make an appearance and offer remarks, though he was late. Is anyone at all surprised by this? Vince’s first two days post election have been a disaster. 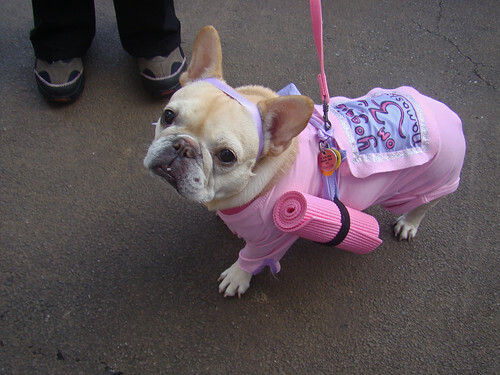 It’s not going to get any better, people. It’s been years since I worked on a campaign, but I feel qualified enough to offer this wee bit of advice; don’t give your detractors fuel with which to flame you, if you can help it, especially when you’re trying to eliminate division and lead “one city”. WAMU’s Kojo Nnamdi hosted Ward 8 Council member and “Mayor for Life” Marion Barry on his show today, during The Politics Hour. Check out this video clip during which Marion Barry expresses his displeasure with Kojo and Kojo calls Barry a “symbol of racial divisiveness in this city”. Yowza.